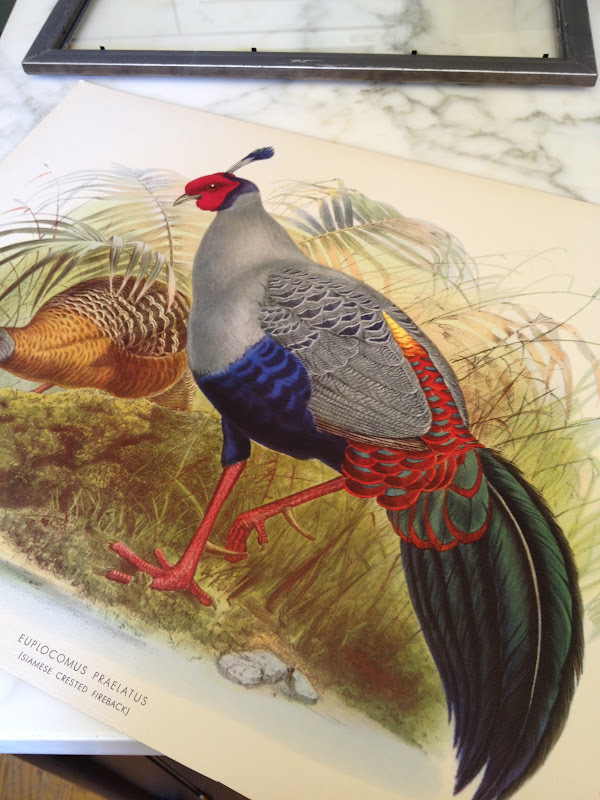 One of my favorite dealers at the Alameda Antiques Fair sells vintage prints of every subject you can imagine. He guarantees their authenticity and age, plus most prints are reasonably priced. 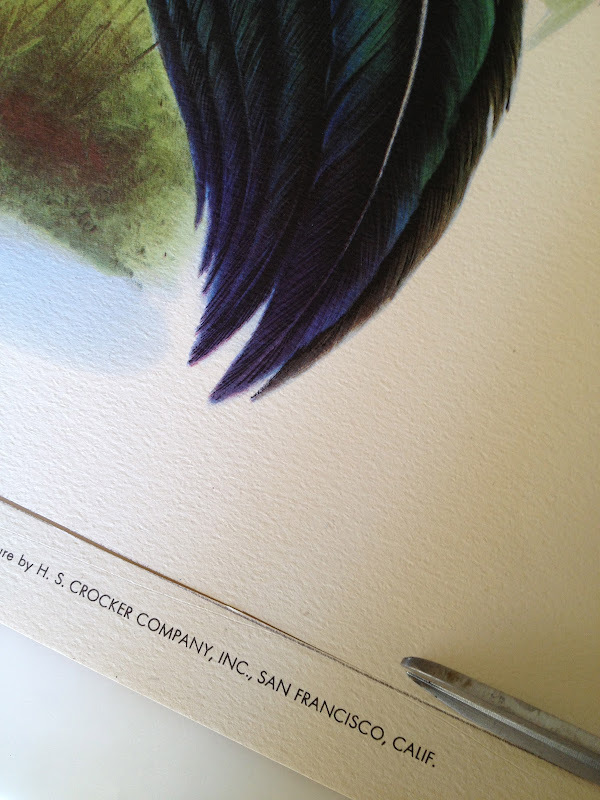 I found some great botanicals and this large, colorful bird print at the last show. The idea was to frame them reasonably with pre-sized frames from our local frame shop. Unfortunately, I had to trim the edge to fit. The important wording is still visible though. I ended up framing the birds in this simple silver wood frame, which doesn't compete with the colors. Both the frame and the print cost around $80. That's a lot of bang for the buck! And it's guaranteed to be 75 years old! It will look fantastic in Ashley's apartment. 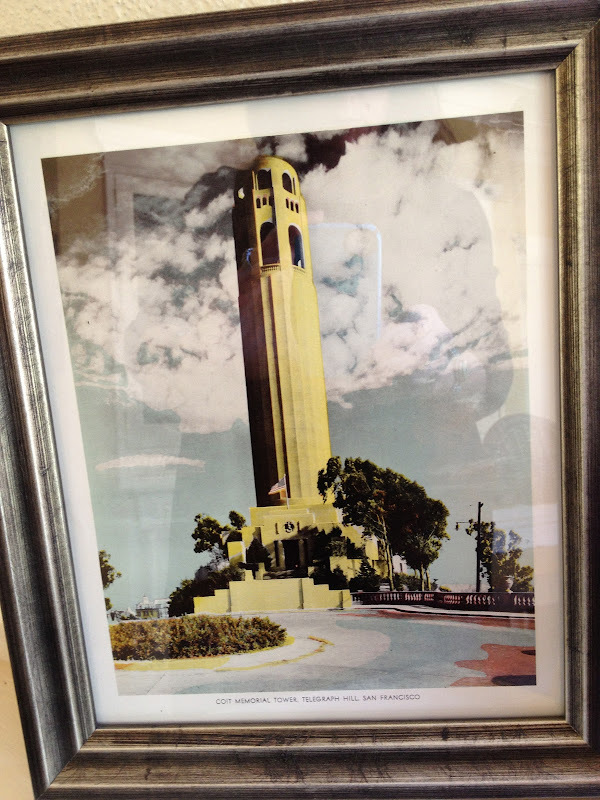 The same frame, only smaller is perfect for this vintage Coit Tower print. This will also go in Ashley's apartment. I'm always looking for grape botanicals for Asti and was lucky to find three. Because they were odd sizes, I matted them to fit into three rustic frames, uniting them. These 50 year old botanicals cost only $10 each! The mats were $2 each and the frames $20. They will be perfect in a vacation rental project that I've been slowly furnishing. Oooops, that's supposed to be a secret...! This German deer print is over 150 years old! A black mat and a burl frame give it some serious presence for under $100. It is also part of my project and hopefully will compliment the playful "antler light sculpture thingy" that I bought at the show. Stay tuned for more information and project reveal. 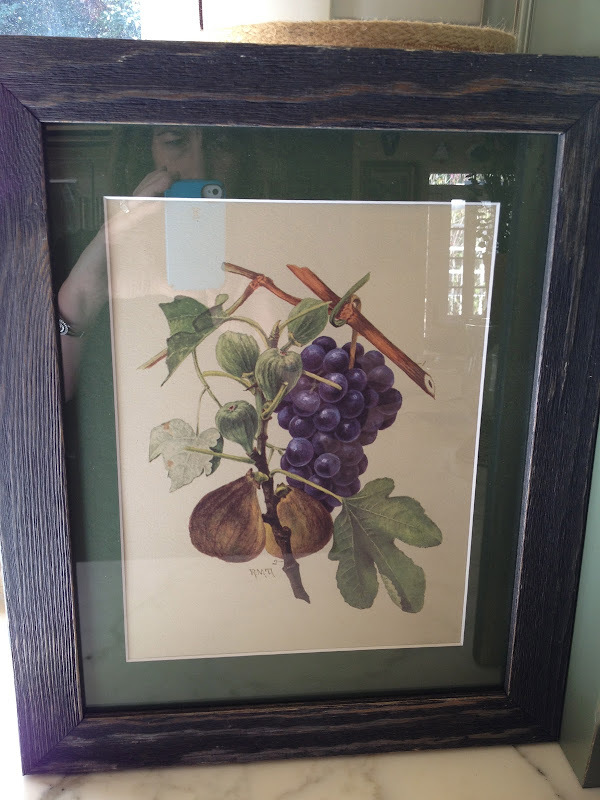 Delores, You have a great eye for pairing art and frames. It makes all the difference in the word, Your choices are very complimentary. Custom framing can be extremely expensive! Those photos look really great and once you add the mat and frame, they look exoensive. A little more teasing??? Alright, I'll bite. I love the prints; can't wait to see what you're up to. That Fireback print is really striking. I see why you liked it. You got excellent prices on the prints. Would love to go to the Alameda show which wasn't there when we lived there in 1998. Wish I could find frames that inexpensive tho. 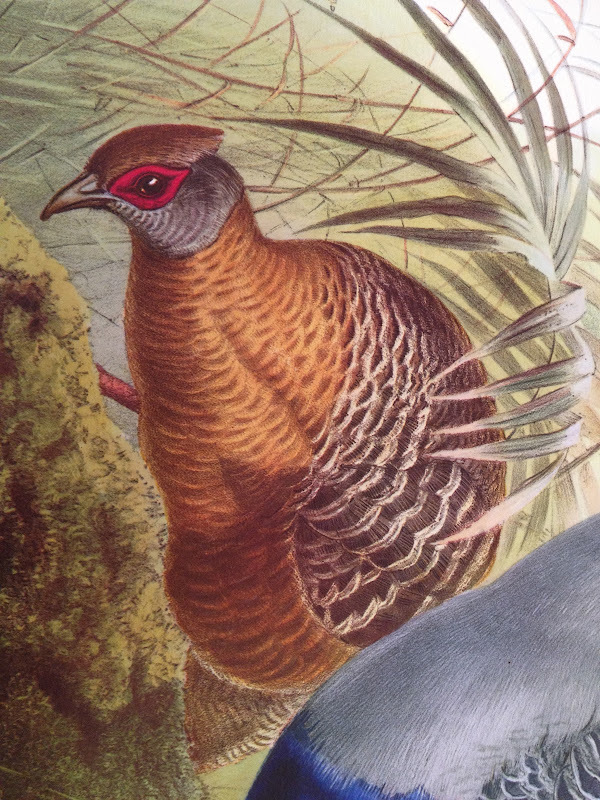 Lucky Ashley, Love the plumage! Delores, Great finds, and I love the way you framed them. The botanicals and German deer prints are especially nice.